This is just a quick post to share a recently discovered little gem with you all, especially those girls who (like me) enjoy a smokey eye and struggle to get through the day without a good dose of mascara. I must confess, my hopes were slim that I would find a pharmacy-brand eye makeup remover that would do the job, properly and throughly, without irritating my eyes or taking ages. 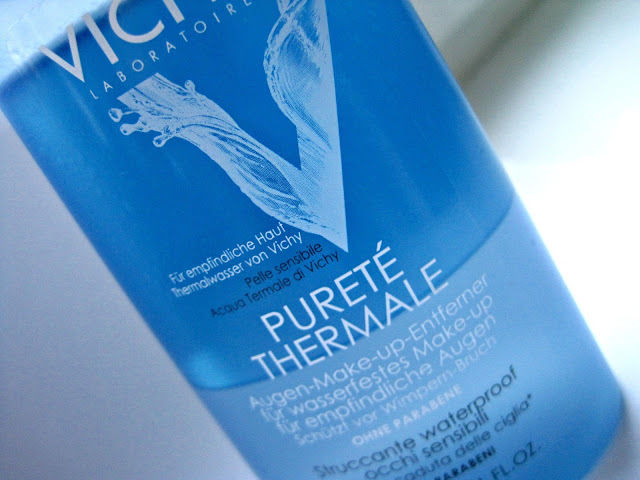 Oh, but how I was mistaken… The lovely assistant on duty recommended I try their pharmacy’s best-sellng Vichy Purete Thermale Waterproof Eye Makeup Remover For Sensitive Eyes: what a dream discovery it turned out to be. With a quick and gentle swipe of a lightly soaked cotton-pad, this stuff removed every last trace of black mascara (I’m partial to the heavy-duty-waterproof kind) without my eyes batting a lid (pun intended). The best part of all: it’s free of nasty parabens. (Trust the French.) The worst part? If you have to ask, the packaging could probably do with a redesign. SA Bantry Bay Pharmacy, Victoria Road, Cape Town, and all other Vichy-stocking pharmacies. International Visit www.vichy.com or www.vichy.co.uk for stockist information and online purchasing.